DERRICK ROSE : DID SPRAINED ANKLES CAUSES HIS KNEE INJURIES? Everyone awaited the return of Derrick Rose with their breath held. He was one of the biggest stars of the NBA and an entire franchise (Chicago Bulls) needed him to elevate themselves to championship contenders. 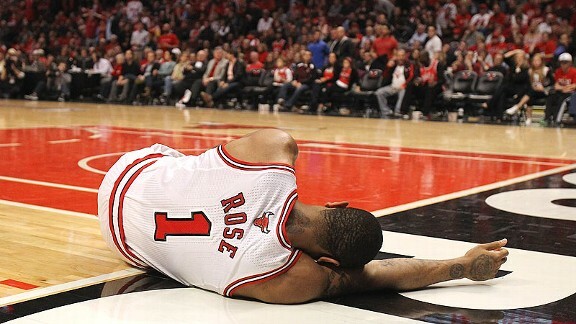 Yet, after just a few games, Derrick rose injured his other knee and is out, once again, for an entire season. What happened? Is it just bad luck, bad knees or something else? Well, I want to suggest something that no one is talking about… Derrick Rose hurt his knees because of weak, unstable and inflexible ankles. Check this out… Before Derrick tore his left ACL in the playoffs a few years ago, he suffered a very bad sprained ankle. In fact, it was so bad that many suggested he should not play, but since it was the playoffs, he taped up his ankle as tight as possible and played. And that game, he tore his ACL in the left knee and was out the entire next season. Now, here is why I believe the ankle sprain caused his first knee injury. Your ankle is a mobile joint. Go ahead and check it out for yourself. Look down at your ankle and see how well you can move it around in all directions. Now, try that with the knee… You can’t, right? Well, that’s because the knee is NOT supposed to move at all. It is called a stable joint and only allows a few degrees of motion before it tears. But, if you tape up the ankle, like Derrick Rose did, and then go out and play sports, you are forcing the knee to move much further than it is supposed to move. Remember, you are making the ankle immobile with all that tape. So, your body is going to follow your lead and if you move, the next joint up the chain will try to move and you DO NOT want that in the knee. In other words, if you cage up the ankle and it cannot move naturally, you are forcing the knee to move more than a few degrees, and it can easily tear. Make sense? Fast forward to the 2013-2014 season. Derrick Rose finally comes back from his injury and starts playing again. He suffers another ankle sprain and once again he vows not to miss the next game. So, he immobilizes the ankle again and goes and plays and guess what? He immediately hurts the right knee in the next game and is once again, out for the season! Is it possible that it is just a coincidence? Once, you understand the way mobile and stable joints work, you can see that Derrick Rose was playing Russian Roulette with his knees and lost both times. So, what is the lesson? First of all, when you sprain an ankle, take your time and let it heal properly with a high quality sprained ankle treatment. Don’t try to cover up the injury with a brace, tape or a wrap. That will significantly increase your risk of a serious knee injury, like an ACL or MCL tear as we saw with Derrick Rose. 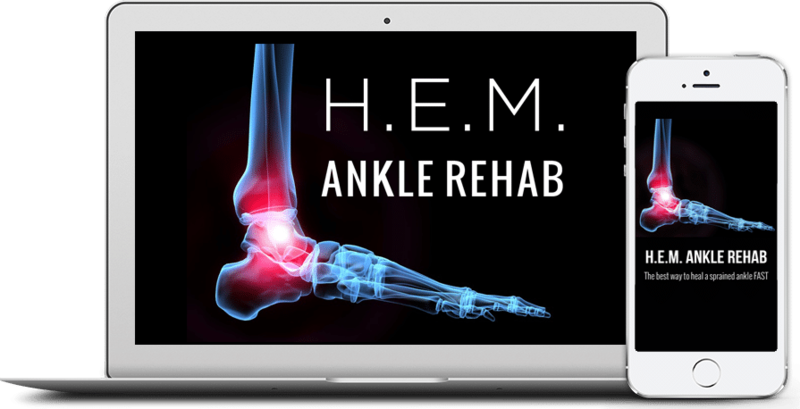 Second, when you rehab your ankle, make sure you get back to 100% in terms of stability, strength and range of motion. Ideally, after some solid ankle rehab, you should be even better off than before, since most people ignore their ankles. That way, not only will you perform better, but your ankle will be at a decreased risk of another sprain and you will NOT need tape or a brace, which will decrease the risk of a knee injury. And let’s not forget the other big issue with ignoring a sprain… you will continue to have weak ankles, which means lowered athletic performance (speed, agility, balance, etc.). Please, remember that a sprained ankle is NOT a minor injury. It is fortunate that you can deal with it quickly, but that does NOT mean it should be trivialized or ignored. Take the time to heal it up right or more serious injuries are right around the corner. And Derrick, if you’re out there, take care of those ankles, because they help protect your knees. Hope you heal up quick so you can get back out there and dominate once again!